Easy techniques you can replicate for a beautiful, individual design every time. Sorry, this workshop is closed : Next intake 2019. Join the mailing list for news + updates about mandala workshops, classes and related offerings from Julie Gibbons. Make sure don’t miss out on early bird offers, prize draws and new product announcements. Mandala art fascinates individuals across the world. The geometry of the designs, colours and patterns resonate with something deep inside – but for those of us not practiced in the art, the idea of creating a mandala seems far beyond our reach. I’m a contemporary mandala artist and have taught thousands how to make magic with this ancient art form. I know (because I’m asked if I’ll do it all the time) that many thousands more would benefit from a simple introduction to the mandala so I’ve decided to share this online workshop for a limited time. 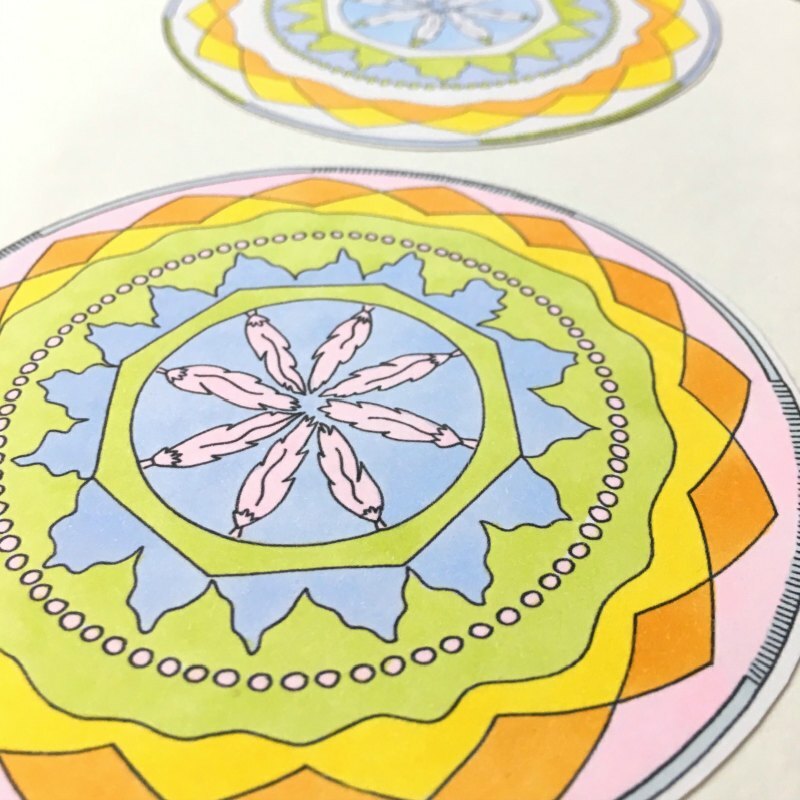 MANDALAS MADE EASY for Beginners contains detailed instructional demonstrations you can use to create beautiful mandalas time and time again – even if you can’t draw! These fool-proof techniques will help you quickly learn how to create an amazing array of mandala designs and are perfect for beginners. includes everything you need to design and create unique and stunning mandalas straight away! Easy techniques you can replicate. ✓ Provide key tips + information you can put to immediate use. Once you get started, you won’t want to stop! Just imagine being able to sit down and produce a beautiful piece of art from your very own imagination, without feeling the frustration of not knowing where to begin or how to transfer what you’re feeling on the inside onto the page in front of you. 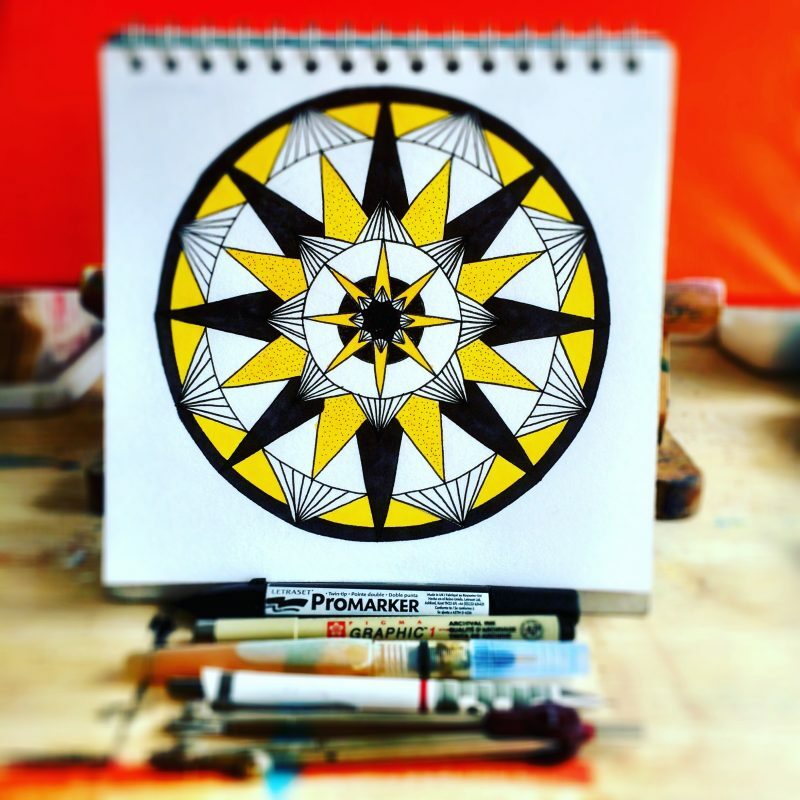 You could become a mandala artist developing a unique style and over time, establish confidence in your artistic abilities – you just need to know how. That’s what this brand new online workshop will help you achieve. Once you learn these easy methods to draw beautiful mandalas, you can replicate the techniques time and again to produce an infinite amount of stunning designs. MANDALAS MADE EASY for Beginners is packed with information about mandala design and construction based on my own practice, teaching thousands of mandala magicians over the last six years. In this workshop I’ve distilled everything I know about constructing mandalas down to the essentials, to make it easy for everyone! ✓ How to instantly become a mandala artist with easy techniques to unlock your creative potential. ✓ Proven steps to creating beautiful mandala designs without ever having to stop and think about it. ✓ Simple keys to understanding mandala practice as a direct communication from your creative source. ✓ Everyday approaches to understanding the ancient and living phenomenon of mandala, which is calling for your attention. 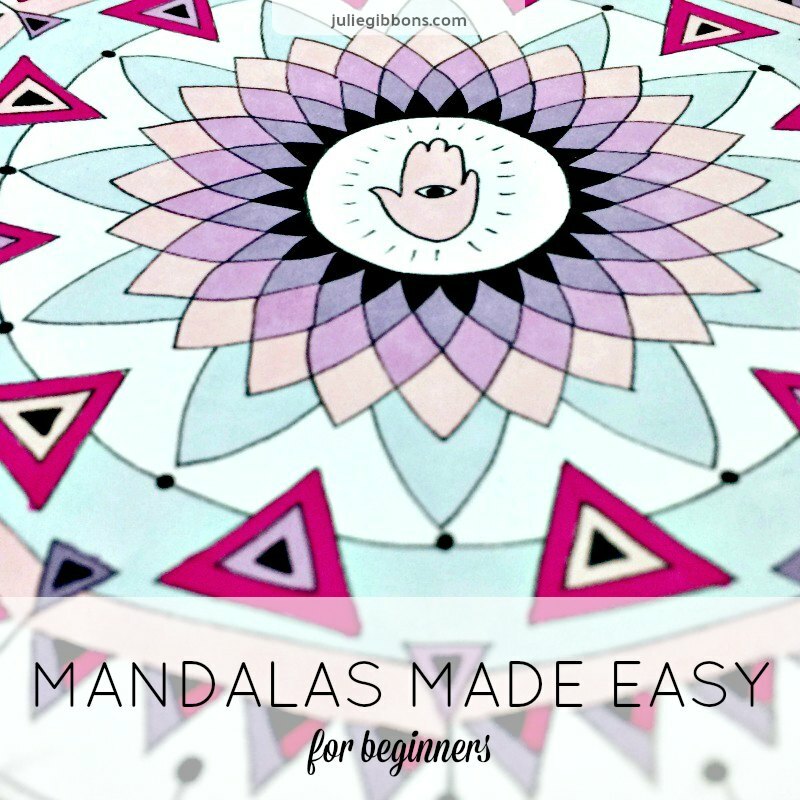 MANDALAS MADE EASY for Beginners is a low cost investment! Why am I offering this workshop at such a good deal? Simple – I want as many people as possible to benefit from the mandala as much as I have! The techniques I’ll show you throughout this workshop form the foundation of the construction methods I use in my own mandala practice. Is it the full story? Well, no – I don’t think so. I truly believe that working with the mandala is a conscious practice that offers most benefit when we dig deeper and that’s why the in-depth programs are where I focus my attention and business. However – there always needs to be an entry point and this workshop can act as a gateway to your own experience with the mandala as symbol. Learning these few techniques can lead to many years of fruitful and meaningful creative practice for you, whether you decide to dig deeper or not! In my experience, the mandala is an archetype that is moving through our contemporary consciousness at a rate never previously experienced. The mandala is making itself known. It is coming out of hiding and into the consciousness of the greater population as a sign for these times. What people say about my beginner mandala workshops. 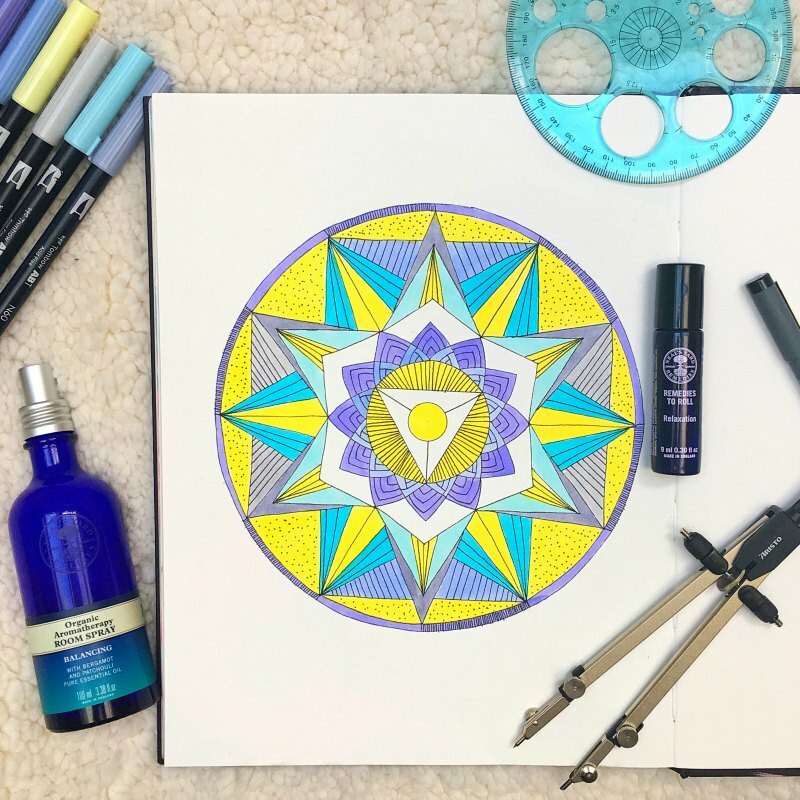 Julie shares ‘enthusiastically and contagiously’ her love for mandalas providing you all the information and technical basis for starting your own adventure with the mandala magic, a creative, meditative technique for everyone! Whether you are new to mandalas or a seasoned mandala maker, Julie will open your eyes to a deeper understanding of the meaning and use of mandalas. Her passion for her subject is evident and she delves deeply. Endlessly fascinating, hugely enjoyable! [This workshop] is the most enlightening experience that I have had in the realm of creativity. It changed me, my perspective, and opened a door that I thought would be closed to me forever … self-expression in art … will now and forever be a part of my life. Julie, you are so authentic, creative and inspiring! Thanks a lot for bringing the magic into creating! A Bronx girl is magically transformed by the power of mandala. Thank you, Julie Gibbons for sharing your insight and inspiring me to continue filling my voids so that one day I can do the same for others! Julie is a wonderful teacher. I enjoyed listening to her so much. It was very inspirational, both in theory and practice. Frequently Asked Questions + Answers! Who is this program designed for? Mandalas Made Easy is designed for people across the world who wish to learn how to design + draw unique, beautiful mandalas. You don’t need to have any special skills, experience or qualifications to participate. You’re likely to have an interest in creative expression through visual art and feel called to work with the mandala as symbol. In this regard, you may be a beginner or an experienced artist. Mandalas Made Easy is open to everyone with access to an internet enabled device and an email address. There is no gender limitation or age limit. Do I need to be an artist to complete this workshop? You don’t need to have any special skills, experience or qualifications to participate, but will benefit best if you have an interest in creative expression through visual art and feel called to work with the mandala as symbol. In this regard, you may be a beginner or an experienced artist. You don’t need to be ‘good at art’ to participate, simply willing to engage with the process and see what shows up for you. Using the foundation techniques you will be able to construct different mandala forms and create a full range of individual designs each time. If you are already an artist and wish to explore the basics of mandala construction, then you’ll also benefit from the container, structure and demonstrations within the workshop. If you have previously participated in Mandala Magic or the Five Days of Mandala Magic, then you’ll find this workshop is an evolution of that work, providing you with an opportunity to further develop your unique style. What supplies do I need to participate? You will definitely need a compass, a pencil, a ruler and an eraser. Additionally, you’ll need something to colour in your work and a substrate to create on. You may work in your preferred medium. That can include watercolours, gouache, inks, acrylics, illustration/paint pens or collage and you may wish to use a mix of these to explore mixed media – the choice is yours! Your chosen substrate will ideally be A4/Letter size or larger, although you can choose to create smaller images if this suits your style. If you’re a beginner, then I suggest you work from a limited range of materials until you decide what works best for you. 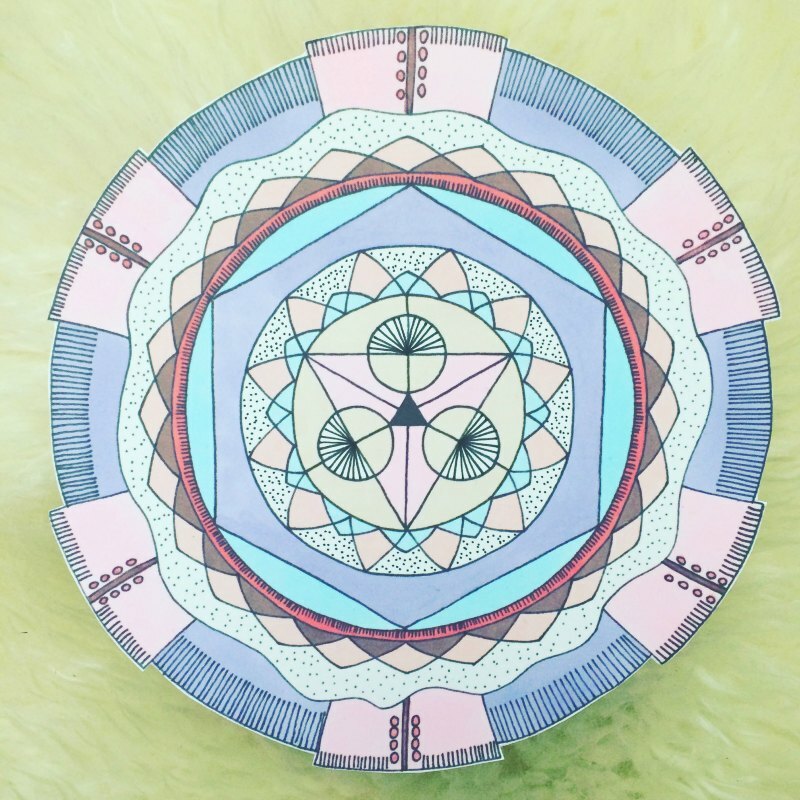 Although it’s tempting to go out and collect a whole boatload of new shiny supplies, it’s not necessary to have a comprehensive range to participate in Mandalas Made Easy. Throughout the workshop, I demonstrate using a range of fineliner pens and alcohol markers. Can I join in from my city? This workshop is delivered to you online, so as long as you have a valid email address and are able to access a computer/device with internet access, you are able to participate from anywhere in the world. The content will be delivered on this website with a mix of writing, some video and audio, so you will additionally need to be able to stream video and audio. Do I need to attend classes in real time? The content is hosted on the website for you to access at your own pace. There’s no need to show up at a specific time, so you won’t miss out if you’re in a different time zone, or need to login after your day’s work. The content is designed to work through in a few days. How long will the workshop take to complete? Depending on your experience, you’ll need to allocate up to two – three hours to complete each of the modules. If you choose to create mandala art with more detail, in a larger format or in layers that need to dry, then you’ll need to allocate a longer period of time. As soon as you have paid and completed the sign up process here, you are ready to begin straight away, no delays – yay! You will receive confirmation of your registration by email (so make sure you enter a valid email address upon sign up!) The email contains a link to the first module. Mandalas Made Easy is available at a special offer price for a limited time period. Once you have registered for Mandala Made Easy, you will receive emails with information about deepening + expanding your mandala practice in future workshops with me, including the in-depth Mandala Days program. You can change your subscription or unsubscribe from all emails sent by Julie Gibbons at any time by following the Manage Your Preferences + Unsubscribe links at the bottom of each email. All content provided in Mandalas Made Easy is owned by Julie Gibbons and is made available to you for private consumption only. Under no circumstances should any of this material be replicated or delivered to any third party without explicit permission in writing. If you share content created during the workshop, please respect the source and mention Mandalas Made Easy in your post. Thank you for supporting my small business and helping me preserve my artistic integrity! Send me an email to hello@juliegibbons.com or if I’m online, use the Live Chat button here on the page and I’ll reply as soon as I’m able.